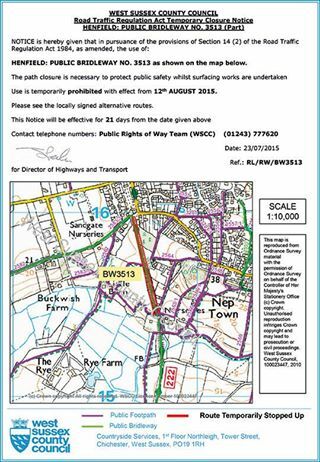 I attach, for your information, a copy of the Temporary Closure Notice in respect of Bridleway 3513. 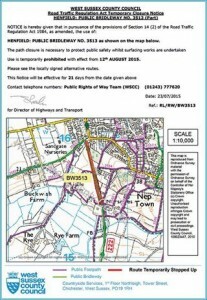 The closure is necessary in the interest of public safety while surfacing works are undertaken. The path will be closed for 21 days from the 12th August 2015.